Your brake lights are more important than ever when the weather goes south. Unfortunately, some people still don’t quite know how to use them properly and fail to adjust their driving habits to the changing of the seasons. Keep reading for a look at how to use your brake lights when the weather gets bad. Bad weather can be tough to drive in, so you should change your habits accordingly. Firstly, you should drive slower than you usually would to account for slippery spots or other drivers who can’t see the road as well. Perhaps most importantly, you should brake more gradually. Avoid abrupt stops, and brake a little sooner than usual to warn the driver behind you. Some areas of the world deal with bad weather on a regular basis, so you should be sure your brake lights work properly before you get on the road. It’s easier to test your brake lights if you have someone to help you, so try to test them whenever you can. Broken brake lights will make you more prone to getting into an accident, because the drivers behind you won’t be able to anticipate your actions. If the weather is really bad, other drivers might not even be able to see you, so test your brake lights to make sure they work. 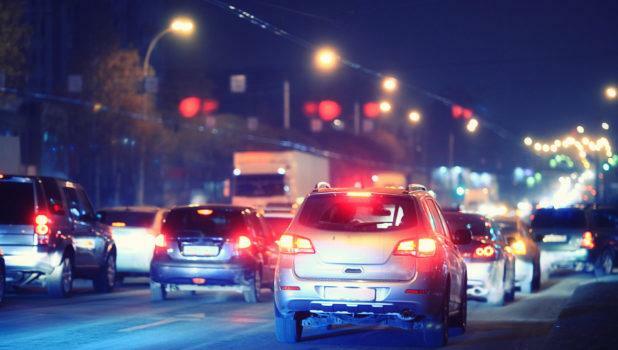 Pulsing brake lights help you stand out, and it’s extra important to be visible if driving conditions are a little rough. Traditional brake lights don’t do the best job of increasing your visibility and safety on the road. Pulsing brake lights are better at grabbing attention, so you’re better prepared to get through the drive without an accident. Driving during bad weather increases your risk of a collision, but it’s often necessary. If you don’t have a pulsing third brake light, you should contact Pulse Protects, or find out how the technology works by perusing our website. … features such as Pulse offered by our dealership give our customers an additional cost-effective option to proactivelyRead More..."